This section covers modifying user account, deleting users, suspending/ unsuspending users, changing a user's password and sending messages to users. 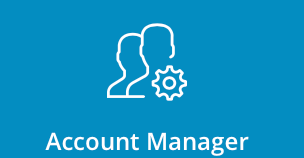 To list all users accounts, sign into the control panel and then click on the "Account Manager" icon, followed by the "List Users" link. A list of your customers will appear, along with their bandwidth, disk usage, domain count, and suspended status. You can sort the list by clicking on the column title. For example, to sort users by bandwidth usage, click "Bandwidth" at the top of the table. To modify an account, click on the User's name in the first column of the table. You will then be taken to that User's account screen. To see detailed account information, click on "Usage Statistics" tab, to change account common (e-mail, name etc.) settings and view detailed ones, click on "Account Info". To write/ view specific comments about user, click "Comments" tab. You can also view by pressing link at the bottom of the table. User history will only be available after account is reset (every new month). In order to modify advanced settings, click the "Actions" button at the top of the screen and select "Modify User" link. In this example, we have clicked on the User "gary" and then clicked on "Modify User." 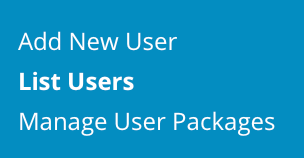 To change the User's package or IP simply select the desired package name/ IP from the dropdown menu and click "Save." You can also add additional IP to user. You will be able to see all IP adresses owned by user in the table below. You can also change various settings like Bandwidth, Disk Space, Maximum Domains number etc. Be sure to click "Save" when you are finished making changes. You may wondered what does red warning sign next to "user" username means. That warning icon indicates suspended users. In order to suspend/unsuspend Users click a check next to the User, then clicking the "Suspend/Unsuspend" button (see image above). To change a User's password, click the link at the bottom of the listed users table (see Accessing Users). The "To:" field will show selected users. 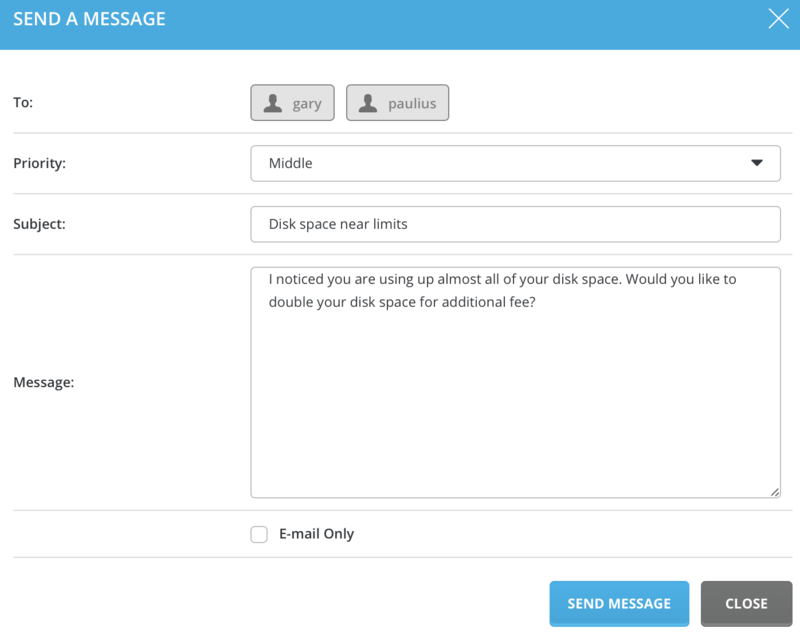 Set the message priority, type in the subject and message body, then click "Send Message" button. Note: You can also click "E-mail Only" box if you don't want to send message to User(s) control panel.